Dr. Robert Ludwig was certified by the American Board of Radiology in 1985. He completed his fellowship in CT/Ultrasound/Interventional Radiology at the New England Deaconess Hospital-Harvard Medical School in Boston, MA. Prior to completing his diagnostic radiology residency at New York Hospital-Cornell Medical Center, Dr. Ludwig spent his first postgraduate year at Lenox Hill Hospital. Before joining our practice, Dr. Ludwig served as Chief of Diagnostic Radiology at Northern Westchester Hospital, where he was also a member of the hospital Medical Board. During this time, he also served as Medical Director at the hospital-affiliated multi-modality outpatient imaging center. Dr. Ludwig received his M.D. from Columbia University College of Physicians and Surgeons. 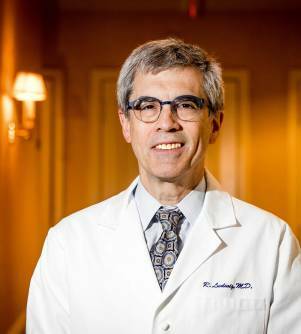 In addition to his special interest in body CT and musculoskeletal imaging, Dr. Robert Ludwig has extensive experience with breast MRI interpretation. He serves as an Assistant Attending Radiologist at NewYork-Presbyterian Hospital and Clinical Instructor in Radiology at Weill Cornell Medical College, Cornell University.